Hello to all. I'm currently working FT as a practical nurse. I'm debating whether I should go into a ASN or BSN granting program. I think it would be easier to work FT through an asn program, then earn a bachelors online. Nova is also a school i'm considering. On their website they posted that students are NOT encouraged to work since it is an intense program. Unfortunately, that's not a choice for many. Can anyone give any insight into the classroom/ clinical schedule? Will I be able to work my normal 3-11 shift? Are BSN prepared Nurses having a tough time as well? Having one of those "this is hopeless" days. I feel your pain. I too passed my pn boards in Dec. 2010. I have applied everywhere within a25 mile radius from my home ever since.Not a call back to date. I'm also considering leaving the nursing game. I thought to myself well maybe if I had a bsn I would be marketable but reading others post s proved otherwise. Experienced nurses are the ones in demand. I was so sure I was going to have an lpn job when I graduated because of my family ties.Pfft! My original plan was to get my PN license and comfortably (financially) continue to get my bachelors, my masters whatever my little heart desired.. Now going on 3 months I believe since I've been licensed.. no interviews, no calls, I applied everywhere within a 15mile radius of my home. My family says things are tight in their facilities right now so I dont know if I should just continue to get my BSN and hope they will have an open spot for me or if I should get into an lpn-rn track. Preferably I'd go bsn but I want to better provide for myself. So any new grads in FL can you weigh in on your job hunting experience? 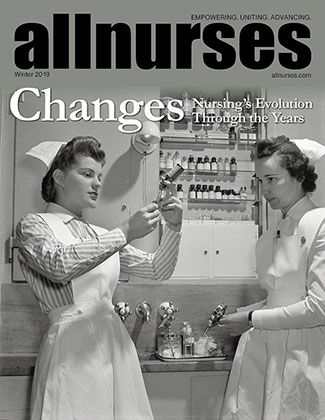 Are facilities hiring more bsn's than asn's? I just don't want to go through yet another nursing program and not be able to find any work. I haven't even had the oppurtunity to be interviewed. I got my license about a month ago and have been applying EVERYWHERE... It's really discouraging to think of all the hardships i've been through in nursing school and whatnot and not even be considered. My resume was checked off by the schools student services department (she's had me revise it once or twice) so I know it's not my resume. My mentality right know is .. if I can't even find a PN job, how am I going to find an RN position? Am I supposed to go through 2 more years of school to be in the same position I am now? Maybe I should go into pharm or phys assistance to hell with it. Might I add that Nursing is "more about who you know than what you know" Anyone care to share where they're living? I'm in the Miami area..
Great replys everyone thumbs up! adn's/adn's who are having trouble looking for work .. not the first time i've heard of it can you guys tell me what states your in?